On 21 April 2014, the leftist web site, Rabble.ca, published an interview with me, on the topic of militancy and democracy. The interview was conducted by Meg Borthwick. 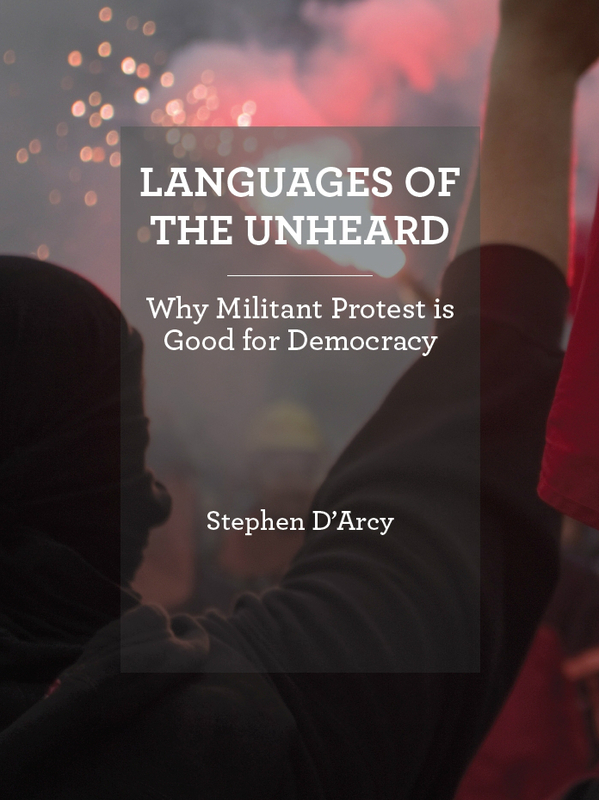 Here’s the text, reproduced from Rabble: Revolution 101: Interview with Steve D’Arcy on Militant Protest. Meg Borthwick (MB): In your book Languages of the Unheard you explain, in detail, what makes a form of protest militant. What distinguishes militancy from other forms of protest? Stephen D’Arcy (SD): First, let me say what I don’t mean by “militancy.” I’m not using this word as a euphemism for violence. The whole theme of violence and nonviolence gets too much attention and distracts us from more basic and pressing questions. Instead, I define militancy as grievance-motivated collective action that is both adversarial and confrontational. Militancy is adversarial in the sense that, instead of seeking to find common ground with its targets, it identifies them as adversaries to be defeated or to be forced into retreat. 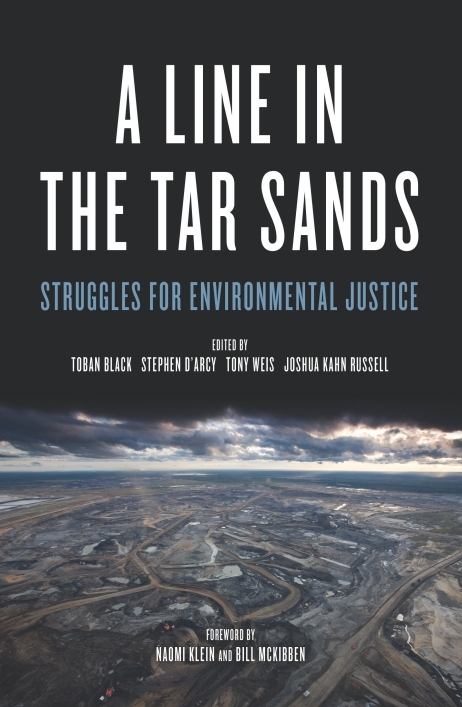 For example, the companies that profit from the tar sands, and the politicians that serve these business interests, are not potential partners for a meeting of the minds. 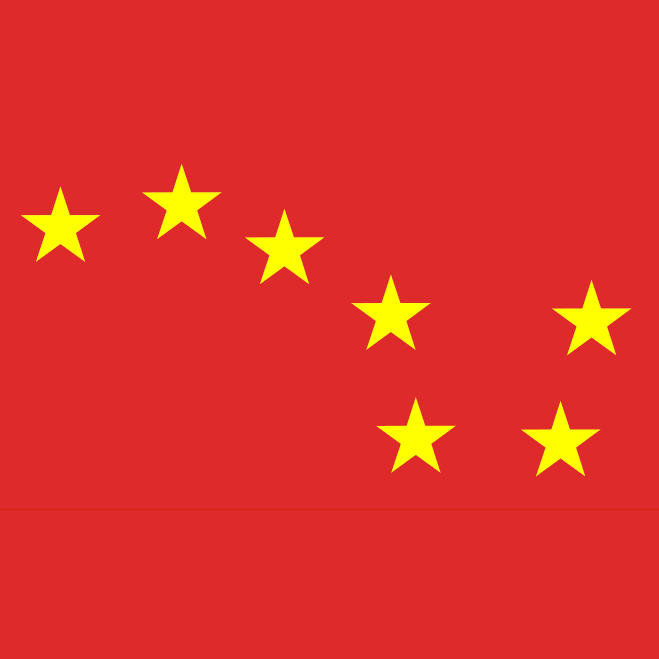 If they are to be stopped, it will have to be through determined struggle; relentless, escalating, and with a broadening base of participation. We have to identify these targets as adversaries, and work to build an alliance of people and organizations willing to fight them and defeat them. Militancy is confrontational in the sense that it actively encourages conflict, rather than seeking to resolve or limit the animosity and disorder that conflict generates. In Martin Luther King’s words, militancy seeks “to create a crisis” and “to foster tension.” Defeating a determined and hostile adversary — someone like Prime Minister Stephen Harper, for example — requires a willingness to defy the authority of that adversary, and to disrupt the functioning of the systems of power from which that adversary draws strength. Militancy, so understood, stands in contrast to forms of protest that treat their targets as susceptible to rational persuasion. The hope, in some cases, is that a politician, a corporation, or some other target of protest can be made to see the protesters’ point of view. In some cases, this can be useful as an initial approach. But soon enough, we discover that corporations and governments tend not to be responsive to the public interest, or to the requirements of social and environmental justice. And that puts the ball back into our court: Will we respond to the intransigence of elites, and the unresponsiveness of systems of power, with a compliant and patient attitude, which King denounced as “the tranquillizing drug of gradualism”? Or will we respond in the way he proposed, insisting on what he called “the fierce urgency of Now”? Speaking somewhat loosely, we can distinguish in this way between “persuasion-oriented” and “confrontation-oriented” protest. Militancy, as I use the term, is this second type of protest. MB: At what point do you think militant action is justified or, more importantly perhaps, can be seen to be justified? SD: We can think about it by analogy with everyday interactions. Everyone can agree that sometimes it is necessary and justified to confront other people, to demand that they stop what they are doing, because it is harmful or abusive. But suppose all we need to do is ask. Suppose they will stop if we simply express our concerns clearly. Then we should try ordinary communication and asking. The need for more forceful forms of confrontation only arises in cases where asking does no good, when our concerns are persistently ignored. When this happens, a more confrontational stance is needed, and we have no trouble justifying this escalation toward confrontation. After all, we tried communication and reasoning, and our concerns went unheard. It is the same with confrontational social protest. We don’t immediately go for an option like launching an unlimited general strike, or even acts of civil disobedience. That kind of escalation is something we have to build up to, as our persistence and determination to secure justice come up against intransigence and dismissal from those who wield power. I like to call militancy a “remedial virtue.” When we admire militancy, when we regard it as a virtue, like the “marvelous militancy” that King mentioned in his famous “I Have a Dream” speech, it is because it offers a remedy for the problem of elite intransigence. When people with substantive and pressing grievances raise their concerns in public, but the powerful see fit to ignore them, or to silence their voices with repressive policing or just stubborn indifference, this poses a real threat to democracy, in the sense of public empowerment. It weakens the power of people to exercise collective control over their own lives. In these circumstances, militancy is the “marvelous” impulse to push back against the power of money and privilege, on behalf of justice, and to refuse to take ‘no’ for an answer. That’s why I borrow King’s description of rioting, “the language of the unheard,” for the title of my book. Militancy is how the exploited and the oppressed can find their voice, when — as happens so often — the powerful refuse to listen. We can see, here, the Utopian aspect of militancy. The impulse that animates militant protest is summed up in the Zapatista slogan: “Here, the people rule, and the government obeys!” Every time people say, “Enough! Here, now, the people will rule!,” it opens a window into the possibility of another kind of politics, where no one is silenced or ignored, where everyone has a voice, and where people’s concerns are taken seriously and, as far as possible, addressed. This is why militancy is so closely associated with assembly democracy, the coming together of people to hear each other and be heard, and to make decisions about matters of common concern on the basis of listening to one another and hearing the voice of the other. Militancy and democracy are connected in the most intimate way. Ultimately, militancy is justified because democracy is justified. MB: We currently are living under a federal government that is intransigent. They do not listen, they do not respond to concerns raised by the people. Is it time for large-scale, cross-country militant action? If so, what form would that militancy take. Would civil disobedience be enough? SD: It’s very true. The Harper regime is deeply committed to a politics of elite intransigence. They embrace the Thatcher model: insisting at every turn that “there is no alternative” to the transfer of both wealth and power from the poor and marginalized to the rich and powerful. In one sense, the rest of us can learn from them. We, too, can refuse to take ‘no’ for an answer. We, too, can be determined to impose defeat on our adversaries. In our case, of course, we do so to expand democracy and establish justice. In that sense, what we do will always be the very opposite of what someone like Harper is trying to accomplish. The role of militancy here is important, but difficult to get right, because if we put forward the proposal to launch immediately a militant campaign to defeat Harper, starting from where we are at right now, at such a low level of mobilization and struggle, it comes across as unrealistic, as mere posturing. People agree, in principle, but they don’t regard it as credible, because they know how hard it would be to make it happen. But there is a chicken-and-egg relationship between planning to win and actually winning. If we resign ourselves in advance to the inevitability of defeat, it will become a self-fulfilling prophecy, because we will find ourselves reluctant to do the difficult and challenging things needed to build a powerful movement. But if we are committed from the beginning to winning, it will inspire us to adopt bold and challenging tactics. Just as important, a clear path to victory is crucial to motivating others to join our movement and contribute their energy, skills, and commitment to our struggle. Few people are interested in joining a movement that has no prospect of winning. The kind of militancy that would be needed to turn the tide, to begin to force Harper and his allies into retreat, is in short supply right now. It would take organized workers in the public and the private sectors shutting down their workplaces. It would take large-scale campaigns of disruption and defiance in the streets. And it would have to be relentless, escalating, and with a broadening base of participation. We would have to learn from the example set by some of the strongest models of resistance out there: the Mi’qmak of Elsipogtog First Nation on the east coast, blockading a highway to defend their land from fracking, and the Québec students emptying their schools and filling the streets for six full months to oppose tuition hikes. These forms of struggle, with the same intensity and determination, would have to become the “new normal” for hundreds of thousands of people. It’s not easy, but it can be done. Here in Ontario, we began to do some of that large-scale organizing during the Days of Action, in the mid-1990s, with many tens of thousands of people walking off the job for single-day general strikes, followed by large-scale street protests, in several cities. Thousands of people who had never protested in the streets were drawn into the movement, because they came to see mass protest as a way to force a determined adversary into retreat. At the same time, more confrontational tactics were being introduced by groups like the Ontario Coalition Against Poverty, setting a good example for the wider movement. But in the end, the will to follow through with the necessary escalation wasn’t there among the highest-level union officials, and they were able to demobilize the struggle. We can learn positive and negative lessons from these experiences, but one lesson is clear: hundreds of thousands of people can be motivated to walk off the job and to march in the streets to oppose the kind of politics that someone like Harper represents. That’s crucial to keep in mind, because it’s that kind of mobilization, in the workplace and in the streets, that offers hope, realistic hope, for building the kind of grassroots counter-power that could impose defeat on Harper and the agenda that he so single-mindedly pursues.